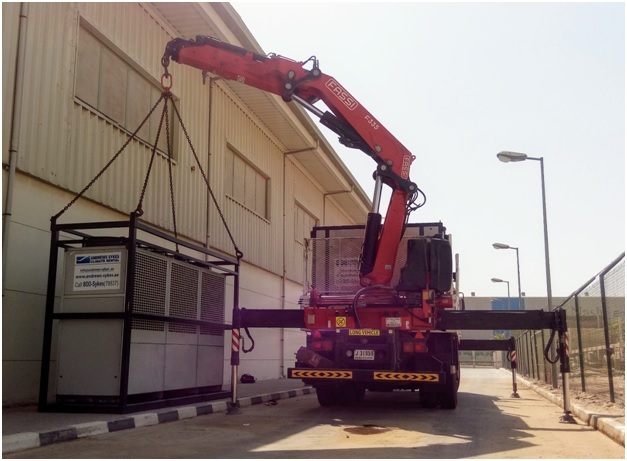 A high profile tobacco processing company located in Jebel Ali, Dubai, contacted Andrews Sykes Chiller Hire in search of emergency cooling requirement. During the expert’s site visit it was found that the factory temperatures were reaching above 37 degrees in some areas, the existing chiller which could not cope with the high ambient condition resulted to circuit failure. After thorough assessment(client lacking spare electrical power and does not want to invest more on generator and diesel), it was decided that one 100kW chiller with same capacity air handling unit would provide the necessary amount of cooling to gradually cool down the space. The proposed was quickly installed by our experts and made sure the temperature dropped in 24hr time. This article was posted in Air Handlers, chiller hire, Chiller Rental, Colling with Power Supply, Emergency, Emergency Cooling and tagged Chiller and Genset, Chiller Hire, chiller hire dubai, Chiller Hire UAE. Both comments and trackbacks are closed.